This 2014 F-150 was built to last forever. It has over $10,000 in accessories and upgrades. 6" Skyjacker suspension lift, 35" Cooper STT Pro's wrapped around 18" Fuel offroad wheels, custom drop step bars, L.E.D. brake lights, paint to match Bushwacker fender flares, color matched mirrors, magna-flow exhaust system, tinted windows, and over $3,000 in color matched Line-X. The following are protected, front grill, front & rear bumper, bull bar, bushwacker fender flares, just under the flares, the bottom of the truck & rockers, and inside the bed. Needless to say this is one awesome truck! 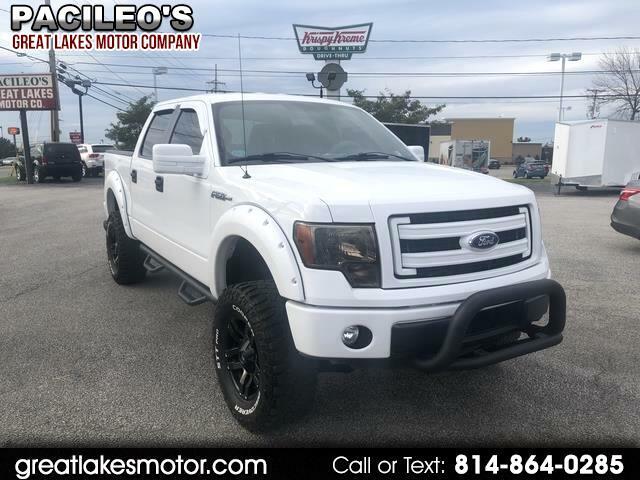 It runs & drives just as good as it looks and the custom exhaust gives her the prefect tone, to replace this truck new you would to have to invest $60,000 and $65,000! Save yourself a ton of money and get a truck that is better than new!